Yes, I have a commemorative basketball in the church office. And yes, I plan to shoot hoops in the park on a regular basis. 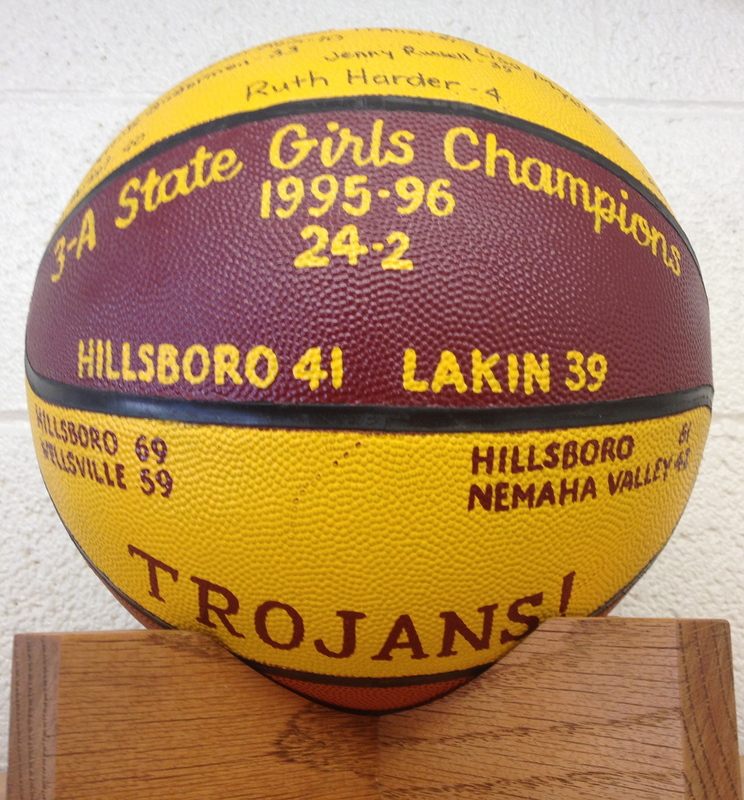 Oh, and yes, I was part of the 1995-1996 Hillsboro High School state championship team. We won the previous year too for those who know your KS high school b-ball history. Our team motto that year was “Refuse to lose.” This motto was especially important since several of us got sick prior to the championship game. I was recovering from mononucleosis and two of my teammates had bronchitis (hence the lower scores :)). I’ve had visions of hosting some b-ball clinics in Whitmore Park. I’ve also had visions of Rainbow forming a team again for the annual Western District Conference tournament. Actually, Bethel College Mennonite Church has said we could form a team together. 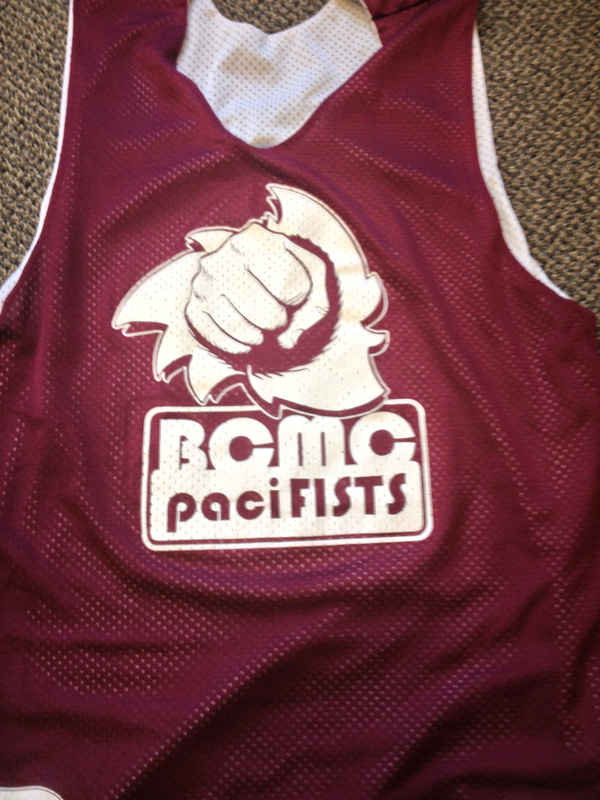 We were called the BCMC PaciFISTS (see picture). Hopefully actual fists won’t fly between our two churches. And no doubt we, too, will refuse to lose.